DULLES, Va.May 27, 2016-- Orbital ATK, Inc. (NYSE: OA), a global leader in aerospace and defense technologies, today announced that the THAICOM 8 commercial communications satellite, built by the company for Thaicom PLC, was successfully delivered to orbit aboard a SpaceX Falcon 9 rocket and is operating as planned. THAICOM 8 will support Thailand s growing broadcast industry by providing broadcast and data services to customers in South Asia, Southeast Asia and Africa. Liftoff of the Falcon 9 rocket occurred today at 5:39 p.m. (EDT) from the launch site in Cape Canaveral, Florida. THAICOM 8 successfully separated from the launch vehicle approximately 32 minutes into the mission, placing it into its targeted geosynchronous transfer orbit. Orbital ATK engineers completed the satellite s initial post-launch health check and configuration in preparation for approximately 30 days of in-orbit tests and orbit-raising procedures. Following this testing period, the satellite will be placed in its final orbital slot at 78.5 degrees east longitude. Once in-orbit testing confirms all satellite subsystems are functioning properly, operational control of THAICOM 8 will be turned over to Thaicom. Our initial checkout and testing processes show that the satellite is performing as expected, said Amer Khouri, Vice President of the Commercial Satellite Business at Orbital ATK. THAICOM 8 marks the deployment of the second satellite we have designed and built for Thaicom, one of Asia s leading satellite operators. Once again, we produced an innovative, reliable and affordable product ahead of schedule. We continue to build on our reputation for excellence and look forward to working with Thaicom again in the future. 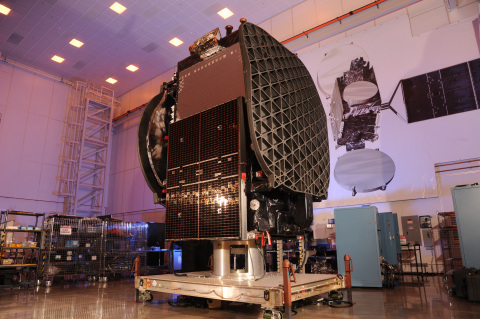 THAICOM 8 was commissioned after the successful launch of the Orbital ATK-built THAICOM 6 satellite in January 2014. Orbital ATK designed, manufactured, integrated and tested THAICOM 8 at its state-of-the-art manufacturing facility in Dulles, Virginia. The company s Space Components Division facilities in California and Utah provided numerous subsystems, including the satellite s solar arrays and composite components for the solar array panels and deployable structures, as well as the super elliptical reflectors to broadcast signals from space to specific locations on Earth. Executing on a proven short-cycle manufacturing process, final delivery of the satellite occurred two months ahead of the original baseline schedule. A Ku-band satellite, THAICOM 8 carries a payload equipped with 24 active transponders to deliver broadcast and data services. At launch, the spacecraft weighed approximately 1,450 kg (3,200 pounds) and is designed to operate for more than 15 years. The THAICOM 8 communications satellite marks Orbital ATK s 36th GEOStar spacecraft launched for customers around the world. The company is currently producing several commercial satellites that will be delivered and launched for customers over the next several years, including the Al Yah 3, HYLAS 4 and SES-16/GovSat satellites. The company is also developing the new Mission Extension Vehicle-1 (MEV-1) for its recently announced commercial satellite servicing agreement with Intelsat, S.A.
Thaicom Public Company Limited, a leading Asian satellite operator, was established in 1991. The Company was the first to launch a broadband satellite in the world, and is a leader in developing integrated solutions for satellite broadband and broadcast services. The Company s engineering teams provide leading-edge innovative solutions for satellite-based telecommunications services. Since its establishment the Company has launched seven satellites, with four satellites in operation: THAICOM 4 (IPSTAR) provides a variety of broadband and data services, including cellular backhaul, mobility, government USO support, content delivery, business continuity and emergency services in thirteen countries in Asia Pacific. THAICOM 6 is to expand the Company s broadcast carrying capacity in SE Asia and Africa (by the name AFRICOM 1 ) and is collocated with THAICOM 5 at 78.5 degrees East; the satellites board a combined 700 TV channels both in SD and HD formats. THAICOM 7 was launched in September 2014 to provide media & data services for Asia s and Australasia s entertainment and telecom industries at 120 degrees East. THAICOM 8 will be launched in 2016 to expand Thaicom s servicing capacity and footprint in the region. Thaicom is traded on the Stock Exchange of Thailand (SET) under the trade symbol THCOM .